Regional wireless carrier U.S. Cellular now plans to sell iPhones for the first time on Nov. 8, according to the trade, Twice, Oct 21. “Congratulations to US Cellular on offering the iPhone for the first time. This is what your customers will want and this should help you hang onto customers rather than losing them to competitors who do offer the phone,” says Principal analyst Jeff Kagan. “US Cellular has been through quite a bit of ups and down in recent years. Suddenly things seem to be looking up a bit. Let’s hope they can keep heading in that same direction,” says Industry analyst Kagan. “US Cellular has stayed away from the iPhone until now because of Apple’s tough financial demands. US Cellular thought they could do just fine without the iPhone. Then after they recovered they could consider it. Well quite a bit of water has gone under that bridge and changes have occurred,” says Kagan. “New CEO, new strategy and now the new iPhone will be available from US Cellular. Kenneth Meyers has only been CEO of US Cellular since June, but I have been impressed so far. 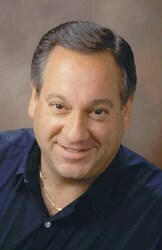 Let’s hope he can repair the company and lead it to growth once again,” says Kagan. Now the iPhone is available from a variety of players including AT&T Mobility, Verizon Wireless, Sprint, C Spire Wireless and now US Cellular. “I expect the iPhone will continue to be offered on smaller carriers as time goes on,” says Kagan. ICT priorities in China – Enterprise ICT investment plans to 2013 » « Importance of Casino Customer Service During Intensely Competitive Times Explored in Newsletter By Robinson & Associates, Inc.